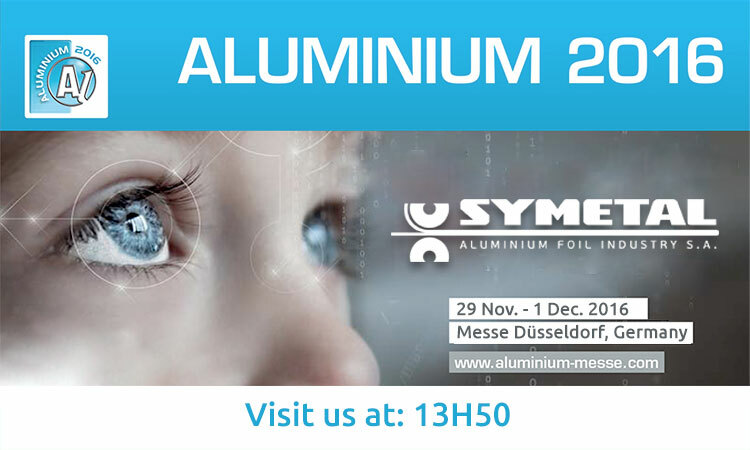 Symetal announces its participation in ALUMINIUM 2016 – 11th World Trade Fair & Conference, which will be held from November 29 to December 1, 2016 in Düsseldorf, Germany. At ALUMINIUM, the world’s largest trade event of the aluminium industry, aluminium producers and converters meet with suppliers of technologies and equipment for the entire value chain. About 1,000 exhibitors are expected at ALUMINIUM 2016. Symetal has a great opportunity to highlight its extended product range which includes aluminium foil products, both plain and converted.